Submitted by Alexander Briones on Dec. 17, 2017..
86 out of 100. Incorporating 950+ ratings and reviews. Native Instruments is another music software developer that has crossed over into the hardware side of the business, and have done so successfully with popular products like the Komplete Audio 6. This 6-channel 24-bit/192kHz audio interface has been well received by both experts and home recording enthusiasts, thanks to its intuitive design. While rack style units have most of their controls at the front, Native Instruments decided to add more controls on the top section, which makes adjusting and monitoring parameters easier. It also comes bundled with software that includes virtual instruments and effects, as well as tools for sequencing, recording and DJ's. "Rock solid and excellent" is an actual quote taken from one of the many positive reviews, and it is a good summary of how majority feels about the Komplete Audio 6. Most of the reviewers find the extra volume knob on the top to be very useful and practical, so much so that some even commented that they haven't looked at other audio interfaces for a while. Even experts rate it highly, stating that it's reliable and very easy to use. As expected from a software developer, the bundled apps were well appreciated by many users. There are some users who complained about driver and operating system compatibility issues, although this may have been resolved with software updates that the company continues to provide. There was one who reported crackling sound and dropouts, but it seems to be more of a computer issue than the audio interface itself. For electronic musicians and DJs, the Komplete Audio 6 is an excellent audio interface to complement your setup. It is also ideal for those who utilize Native Instruments software. Although this is not on our current recommended list for general use, it is spoken of highly by EDM producers and DJs. 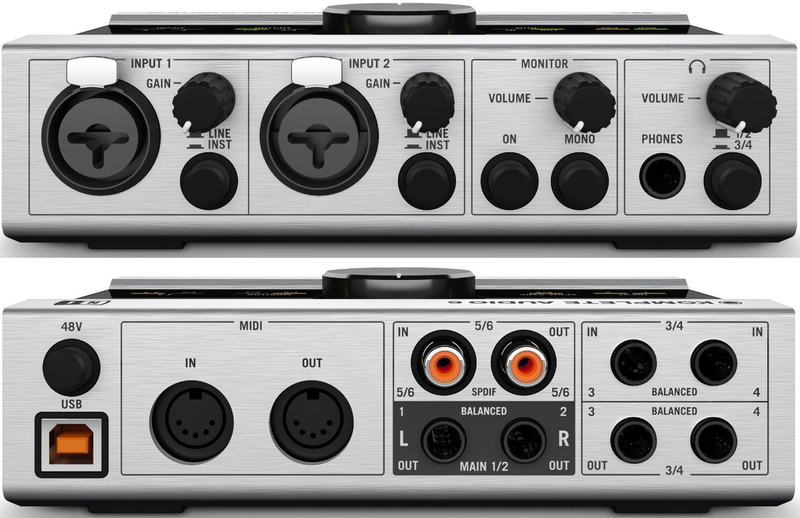 You can see our current recommendations for all uses in our guide: The Best USB Audio Interfaces - 4 / 8 / 16 Channel.